Alien Pastures » VLC 2.0.6 (finally) released. New flash plugin too. 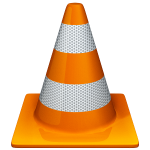 VLC 2.0.6 (finally) released. 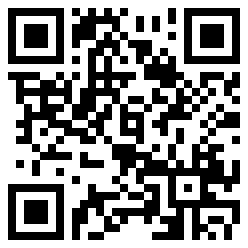 New flash plugin too. I almost finished a bottle of La Trappe Dubbel and before I pass out, there is just this one post to write at the end of another busy week. I don’t know how many times during the past two months I thought “I have to start preparing for a new VLC package build” only to discover that the developers side-tracked again and a new release was not going to come after all. But finally, there it was this week: vlc-2.0.6. This is a bugfix release, notable changes for us Linux users include “support for Matroska v4, improved reliability for ASF, Ogg, ASF and srt support, fixed ALAC and FLAC decoding“. I finally updated the npapi-vlc browser plugin. I noticed that version 2.0.6 was tagged in the repository and still no release tarball is being made available… get serious, you french! I heard good stories about the new version, so I decided to checkout a snapshot from git. I never really fancied the 2.0.0 release of npapi-vlc and use gnome-mplayer / gecko-mediaplayer instead. Actually, this is the second build of the packages. Someone notified me that there was an issue with the libupnp plugin (uPnP service discovery) so I upgraded the internal library and applied a patch. http://slackware.com/~alien/slackbuilds/vlc/ (only containing the versions that do not violate US patents). Mirrored at http://taper.alienbase.nl/mirrors/people/alien/slackbuilds/vlc/ . http://taper.alienbase.nl/mirrors/people/alien/restricted_slackbuilds/vlc/ (alternative repository containing packages capable of AAC/MP3 encoding). Rsync acccess is offered by the mirror server: rsync://taper.alienbase.nl/mirrors/people/alien/restricted_slackbuilds/vlc/ . My usual warning about patents: versions that can not only DEcode but also ENcode mp3 and aac audio can be found in my alternative repository where I keep the packages containing code that might violate stupid US software patents. WIth all the fuss about vulnerable browser plugins (Java is the bad boy) I was quick to update my Flash Player packages. when I saw that Adobe had released a new security bulletin…See http://www.adobe.com/support/security/bulletins/apsb13-11.html for the list of CVE‘s they plugged this time. Better safe than sorry folks – always watch out what web pages you visit! After upgrading, use the following URL to check that you are indeed running the latest version of the Flash Player plugin: http://www.adobe.com/software/flash/about/ . Posted: 12 April, 2013 in Slackware, Software.